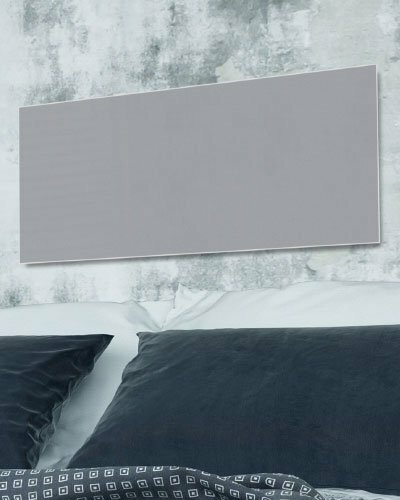 See the principle of infrared heating. The advantages of heating by infrared radiation are many. 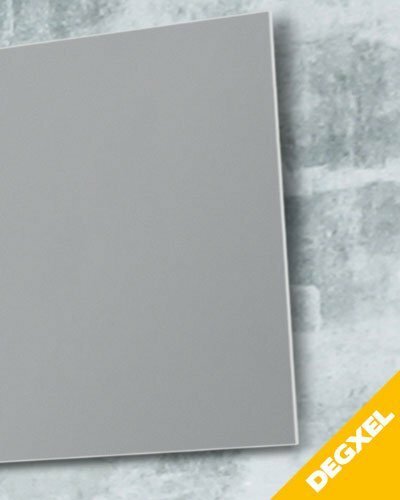 The mastery of our infrared technology (based on a unique radiant emitter) combined with an innovative design and high-end materials ensures reliability, low energy consumption and durability. Last year we saved about 3300 Megawatts-hours (MW.h) to our customers! 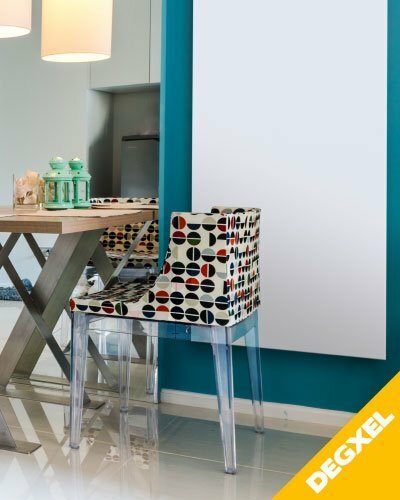 The DEGXEL heaters offer a soft and comfortable warmth for a consumption of 50-55 W per m2 (on average). 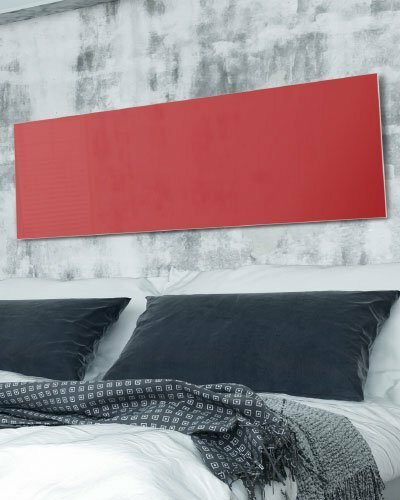 This means that with our radiators you will need less power (to heat the same volume) than with conventional electric heaters (90 to 130 w / m2 most often). We will offer you a 750 W when you use a 1500 W! It is the low consumption. 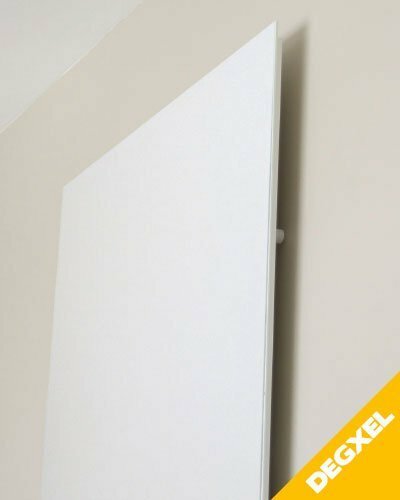 Thus, an electric radiator DEGXEL Is equipped with a long electric cable (several meters depending on the model) and an extra flat plug with easy engagement. In the basic version, simply plug the radiator (on any outlet) as a conventional household appliance. Learn more about possibilities of temperature management. 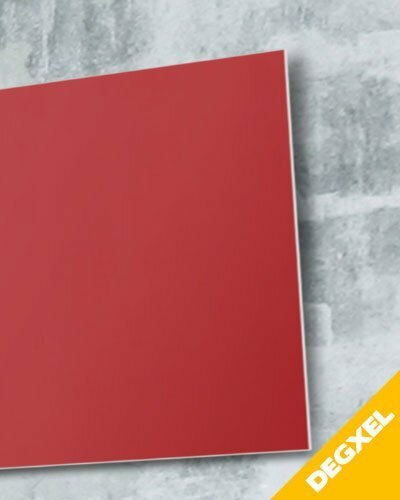 DEGXEL Infrared Panels can simply be plugged in and operate without thermostat controller. But they do not have in built controls. 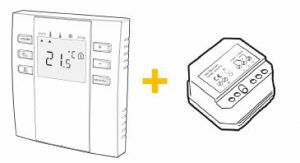 So, it is highly recommended to control it with a room thermostat for both reasons of energy efficiency and to optimize comfort levels. You can control your heater by a controller of your choice : wired, wireless thermostat, smarthome device, etc. 1 Wireless Switch Receiver (dimensions l = 51 mm x L = 48 mm x h = 28 mm) to be placed in the electrical socket (from which the facade has been removed) and to be connected to the heater and the power supply. 1 receiver per heater. 1 Wireless Thermostat (battery operated) to be placed where you want it in the room. Learn more about the ideal room thermostat location). 1 Thermostat can control as many heaters as desired in the same area (1 zone = 1 room in general). 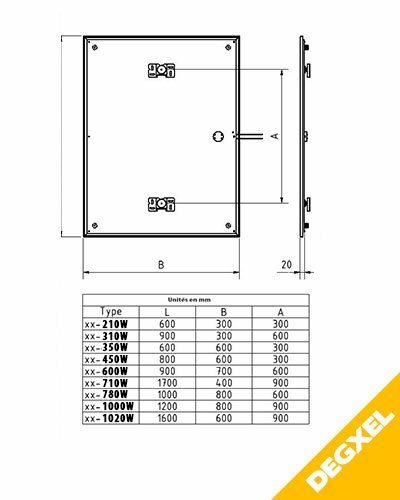 1 Wireless Switch Receiver (dimensions l=53 mm x L=46 mm x h=30 mm) to be placed in the electrical socket (from which the facade has been removed) and to be connected to the heater and the power supply. 1 receiver per heater. 1 Wireless Programmable Room Thermostat (battery operated) to be placed where you want it in the room. 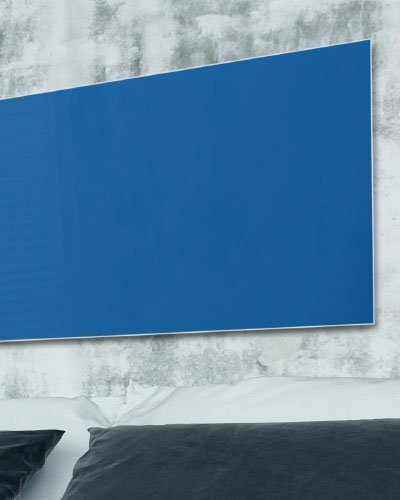 Learn more about theideal location for a room thermostat for heaters. 1 Thermostat can control as many heaters as desired in the same area (1 area = 1 room in general). 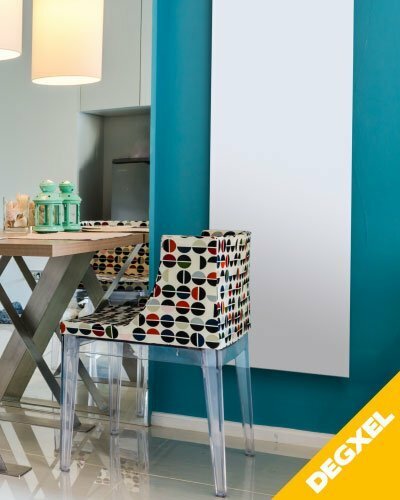 If you wish to control other heaters, add 1 receiver per heater to be controlled and 1 thermostat per each room. Thermal comfort (the temperature is measured in the living area and not on the heat emitter). 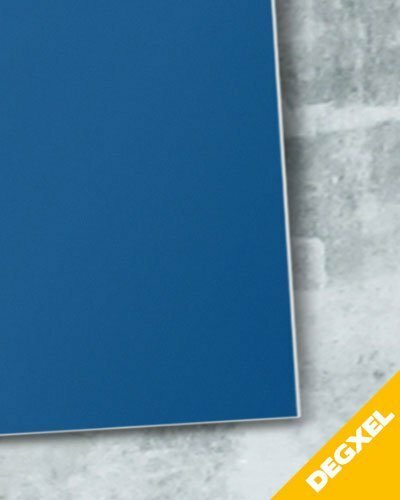 The installation is very simple and quick to perform. The control of the thermostat is immediate. Store your heater after use! Save space! 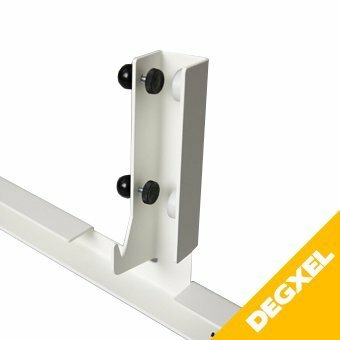 A pair of feet specially designed for your DEGXEL heater to make it free-standing and portable. 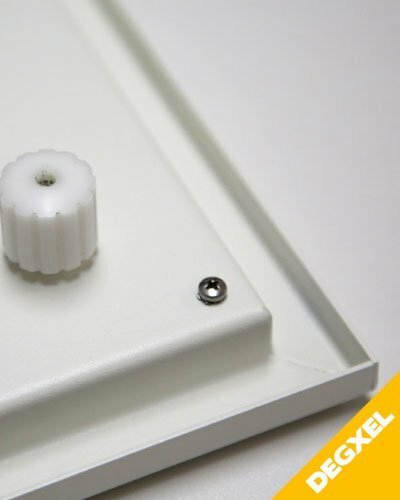 Installation is as simple as clipping the feet onto the base of DEGXEL heater (2 mn – no previous DIY experience is necessary). Plug your heater into a standard 13A socket and position it however you like to enjoy comfortable far infrared warmth. 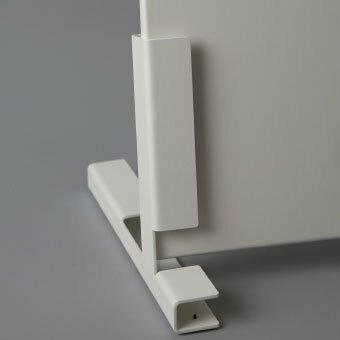 High-quality vertical stands made of metal, with safety hooks for safety reasons, tightening screws and protective slide-on covers (in order not to damage the heater when you store it). 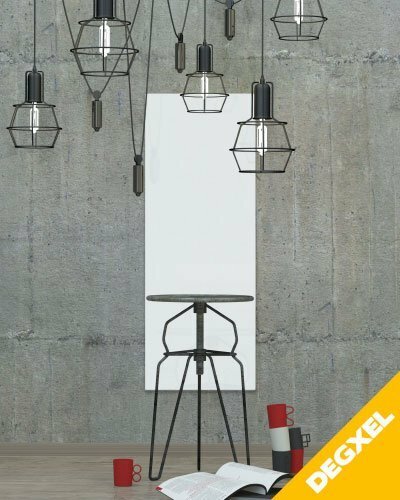 This kit can be used with any of our heaters except 2 vertical heaters: 710W (height:170cm) and 1020W (height:160cm).